Besides many other improvements and bug fixes, Appointments plugin is no capable of full month scheduling. Your customers can opt to schedule full months, without a calendar form and it is super sleek. Customers can simply select a month they want to schedule or multiple months if applicable. All other features, like provider selection and add-on fields, work the same as with any other appointment form. Here is a demo of this feature. 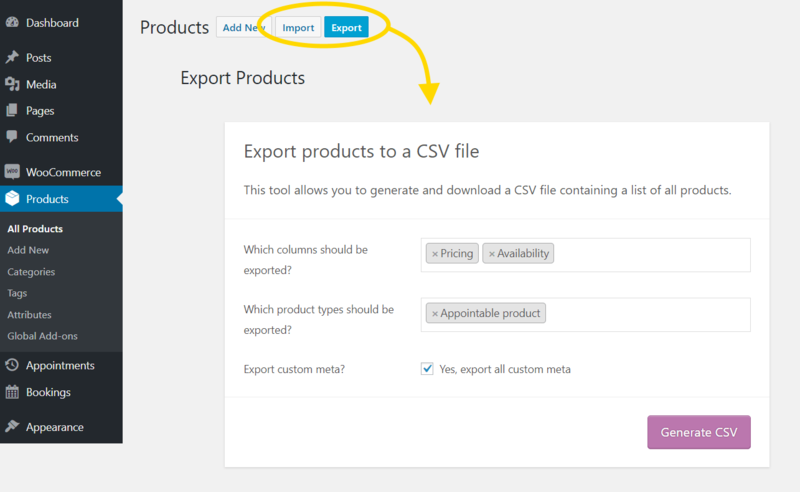 You can now import and export all appointable product fields. Select which fields you would like to export, which products and that’s it. Doesn’t get any simpler. * Improvement – Updated all translations to include months feature. * Fix – Warning and notice for confirmation emails. * Improvement – Move Appointments customizer controls under WooCommerce panel. * Fix – Remove notice on appointment edit screen, when Google Calendar event is selected instead of regular product. * Fix – Daily events synced from Google Calendar take additional day. * Feature – Appointments data included in WooCommerce core import and export functionality. * Improvement – Added $spaces_left to ‘woocommerce_appointments_time_slot_html’ filter. * Improvement – Added ‘wc_appointments_staff_availability’ filter for user availability. * Improvement – Added compatibility for Sequential Order Numbers Pro. * Improvement – Added WPML compatibility with Add-on fields. * Fix – Added fourth arg in Confirmation emails for actions. * Fix – Slots available after max available time. * Fix – Double check product exists before attempting to get_title(). * Fix – Do not add custom pricing, when it is disabled, even when custom pricing rules exist.